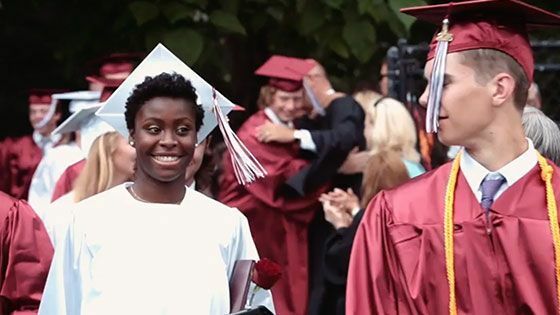 Every dollar given to the Severn Annual Fund provides boundless opportunities that prepare and inspire our kids to walk confidently into the next chapter. Consider making a gift today in honor of your student, a favorite teacher, or a unique program that made your Severn experience special. Severn School students, faculty and families share what it means to be a part of our community. There is a tremendous sense of pride and community at Severn School. With the generous philanthropic support of our alumni, parents, and friends, Severn School is on a path of success unmatched in our history and the envy of Anne Arundel County schools. Our mission is to support the students, faculty, and alumni of our school. Whether you are interested in the Severn Annual Fund, the recently completed Severn on Course Campaign, endowment, alumni programs and services or gift planning, you will find it here. And of course, there is the opportunity to make a secure gift online. With the construction of the Teel Academic Center, we have completed the Severn on Course Campaign. The success of the Campaign is a shining example of our commitment to know and value every child, recruit and retain outstanding faculty, grow financial aid and endowment, enhance programs and provide the most compelling spaces in which to teach and learn. And through your generous support of the Severn Annual Fund, we have increased opportunities that challenge and inspire our faculty and students on a daily basis. Bay Path Junior College - A.A.
North Central College - B.A.